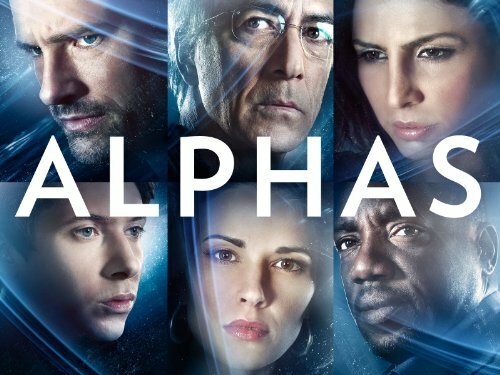 The TV Series Alphas: trailer, clips, photos, soundtrack, news and much more! Are you ready for the finale of Season 3 of Alphas? Do you want the series to keep going or should it end? Awesome, a new episode with Actress Summer Glau! Yes, Kat is back! Let’s hope we will learn a bit more about her origins! I can’t believe Hicks is a traitor. I’d rather think he’s under cover. Kat (Erin Way) is a great addition to the Alphas team, love her! Hope to see her even more often in the next episodes. The team should use the contraption they found in the last episode to boost their powers, then it would be easier to deal with that boy. How are they going to get rid of that poltergeist? Alphas 2.4 – Can you swim? Nina is a naughty woman! Don’t miss the next episode of Alphas this Monday! Alphas – Surprise, you’re not the only one! The TV series Alphas will return on July 23, 2012. The first episode of Alphas Season 2 will air on Monday July 23, 2012.